1 57 percent of all households that are led by an immigrant (legal or illegal) are enrolled in at least one welfare program. #8 It has been estimated that U.S. taxpayers spend $12,000,000,000 a yearon primary and secondary school education for the children of illegal immigrants. #10 The federal government actually has a website that teaches immigrantshow to sign up for welfare programs once they arrive in the United States. #15 Mexican drug cartels make approximately 6.6 billion dollars a year“exporting” illegal drugs to the United States. In fact, one activist recently went out and actually got people to sign a petition that said that we should let illegal immigrants out of prison no matter what crimes they have committed pew research center . How about the Woman who was killed in sf because he also was a illegal alien. Please refrain from posting personal insults towards other members. Anyway, to remake my point, the above link is the article that Luna copy and pasted from, because she couldn't just link to the article. I don't have time to do all of these but just a cursory glance proves a that most of these are the same old BS that have been bounching around the net for ages. Cutting and pasting a list that you don't vet first is a sign of a lazy person. This was proven wrong by Politifact five years ago. 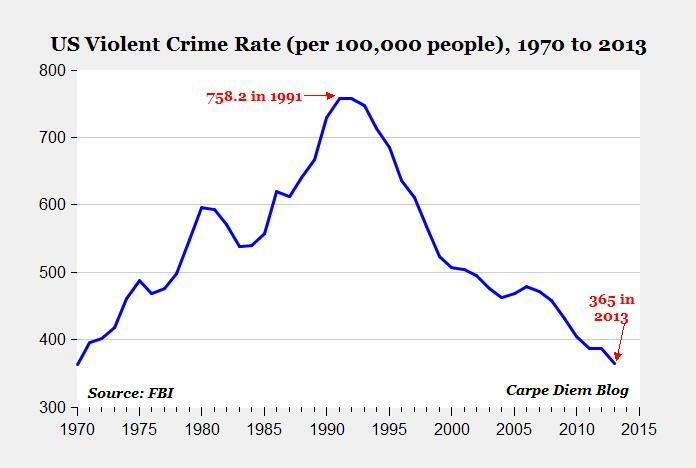 Then there is #17 and #18 but what they don't tell you is that the violent crime rate has been dropping since the 90s even with the rise in illegal immigrants. I like how they throw in how most of the meth and marijuana come from outside the US. Considering that recently there was a meth lab discovered in the National Institute of Standards and Technology, and that Alaska produces over 30 tons of marijuana in three months by unofficial estimates, that is an incredible amount of crap. Some good facts -- even if some of them aren't 100% accurate, it puts into perspective how much illegal immigration costs us. Also what about the woman in sf who was killed by a illegal immigrant who had her father by her side when she died. I'd toss this in the propaganda bin. Most people who follow these beliefs are racists using "facts" to hide their racism. Also what about the woman in sf who was killed by a illegal immigrant who had her father by her side. What exactly is the relevance of that? Are you trying to insinuate that all illegal immigrants are violent? This is what we call a "logical fallacy." I agree that illegal immigration is not good and should be dealt with accordingly. But it's hard to make progress doing that when the issue has become some heavily tainted by racism. Didn't have to wait long for that. In my current locale, racism, veiled by "facts" and "personal incidents" runs rampant. Mexicans, legal or not, are often treated as second class citizens. Did you see the other cases against illegal aliens that they committed in my post. You're not looking at the big picture and you're not thinking objectively. You're looking for facts to support your beliefs. If you're looking to battle topics that cost you money, Luna, you should do research on obesity or education inequality, the latter of which, I feel you're a product of. Seriously though, if the concern is truly about cost, then I'd assume you have the same outlook on other problems that waste this countries money. I get the feeling that's not the case. Your lack on sincerity and consistency makes me think you're full of it. If your not going to talk about the topic i posted why post at all. Because the topic posted is incorrect and harmful to everyone who reads it. You didn't talk about anything. You copy and pasted someone else's thoughts. Also, your post is partially about the cost of things. Therefore he's completely on topic. Gee, another day another fine thread on thebreakroom. Two Oklahoma brothers were arrested in the stabbing deaths of their parents & three siblings. Louisiana man shoots & kills two, wounds nine before killing self in movie theater. S.C. mom rolls car into lake, drowning two toddler sons strapped inside. Phoenix man decapitates wife & two dogs during argument that left him mutilated. Georgia man kills wife & her two sons before killing himself. S.C. man kills nine in a black church. Man killed after killing four marines in Chatanooga; fifth one dies later. Colorado man shoots & kills nine, wounds scores of others in Colorado movie theater. Modesto man in custody after killing two women & three children. Man kills five in rampage across northern Maine. Know what they all have in common? Not one was committed by an illegal immigrant. As many crimes as you'd like to blame on illegals, they don't even come close to what our own citizens do to their fellow man. We do need to remember to be polite to each other. No insulting comments about other members. We can debate a topic with be directly insulting. It's fine to say the information is wrong and misguided, but not that the person presenting it is stupid or an idiot. It's fine to say that they haven't done appropriate research or paid enough attention to important details, it is against the rules to call them a moron. We can be a better place then most of the rest of the web, I'm certain of that. This is a community and we can behave like decent human beings. Just because the rest of the country wants to act like gibbons and throw their poo at each other doesn't mean we have to. What's the difference between an insult and a statement of facts? Phrasing, intent, content, and attitude. I dunno, being an idiot kinda warrants being told you're being an idiot. For the sake of time and comedy, I'm going to link to Louis CK's bit about this kind of stuff. By the way, I agree with you, but I think the mods here are too power happy when it comes to filtering what people say since they filter completely subjective content. I'd like to point out that anyone living in this country without ties to a Native American tribe is technically illegal. So y'all can get out whenever you'd like. I'll help you pack. But on a more serious note, the example you used (well, copied and pasted) are a small portion of the population you're speculating about. I could give you an endless number of sources that show a Caucasian citizen committing heinous crimes, but you wouldn't look at those results and make a point about all of them being criminals. Do you know, with first-hand experience, what the process is for becoming a citizen? It's literally a drawing. A mother-f***-ing raffle. They pick a set of numbers at random that correspond to people looking to gain citizenship, and they process those applications. Gone is the system of just applying, waiting a set period of time, taking a test, and gaining entry. It's luck of the draw now, and families are being torn apart. I grew up in a family that is 1/3 white, 1/3 Native American, and 1/3 various Hispanic ethnicities. I've watched family members get denied citizenship because their number wasn't drawn, and they've had to say good-bye to family members who were lucky enough to get the call. And honestly, I can't name a single immigrant, and I know many, who ever ever EVER does less than their absolute best to survive here and give back to the system. What I DO see a lot of is spoiled American-born people complaining because immigrants are getting jobs and financial assistance that they believe should only be given to them. People can complain about how much it costs to lend a hand to these people all they want, but until they start busting their asses day and out to make ends meet while living in fear of being kicked out of the country where your entire family resides, they can all shut their mouths. I think before everyone dismisses this as "facts used to veil racism", keep in mind that illegal immigration has NOTHING to do with race. It has to do with these people being in our country ILLEGALLY! The fact that there is 1 murder by an illegal immigrant on a US Citizen, that is one too many! That person shouldn't have even been here in the first place. It seems like everyone in this thread is perfectly ok with illegal immigrants being in this country and draining our resources. Oh and don't act like the 10 cents you save on a head of lettuce at the grocery store matters enough that we need illegals in this country to harvest crops. You don't see Americans whining about being denied entry to the EU or Canada do you? We're content living where we're born, oh and we don't need to excuse ourselves if we think we should take priority over those who aren't even a citizen of this country. The reason there is probably a drawing is because everyone and their mother who doesn't live here WANTS to live here. Do you really think this country can support that many people? Who is going to pay for it? I sure as hell don't want to. I'm sorry, but I must have missed the part where any facts about their existence in our country draining resources was actually proven to be true. You know who drains resources? Everyone who wants to spend billions of dollars building a maldito wall. A wall, for crissakes. But that's okay. We can waste a ton of money on keeping people out instead of amending the system and making it possible for people to go the legal route. It's not like these are human beings with lives or anything. Jesús, que tu gente no escucha.